Created from the work of fourteen of the company’s creative talent from around the globe, Vitamin T is proud to announce the release of its 2018 Desktop Talent Calendar. Vitamin T is delighted to announce its 2018 Talent Calendar. Hundreds of artists from around the globe submitted their work for consideration. A final fourteen images were chosen to showcase in this year's calendar which will be hand delivered to Aquent and Vitamin T customers worldwide. According to Vitamin T president Susie Hall, "Every December for more than 20 years we've produced our Talent Calendar. It's become so popular with clients that they begin asking our staff for them in October." Inclusion in the calendar is a matter of prestige for the artists, whose work will also be featured on emails, office artwork, and on the company’s blog as downloadable desktop wallpapers. This year's artwork is an eclectic display of bold imagery and dazzling hues. From an early morning rooster call to a bevy of lilacs on a cobblestone street, the pieces reflect the broad diversity of creative talent represented by Aquent and Vitamin T. Artists chosen this year hail from New York City; Washington, DC; London; Sydney; Nagoya; and many other cities. Hall stated that she is ecstatic that so many of the firm's talent decided to submit an entry. She added, "With so much stunning work, paring them down to just fourteen images was incredibly hard. I'm happy that we can continue to share all our talents' work at our Talent Calendar Gallery. Thank you to all our creatives who entered!" To see the featured works, please visit the Talent Calendar website. Any request to use these images should be submitted to Vitamin T. Use of the art is strictly prohibited without authorization from the artist. 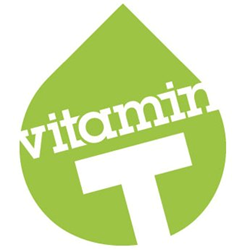 Vitamin T is the talent agency for digital creatives. We personally meet each of our candidates face-to-face and conduct hands-on assessments and full portfolio reviews to ensure our talents’ skills are best in class. We provide subsidized medical, dental, and vision benefits, as well as a 401(k) plan—not to mention free online training through Aquent Gymnasium. And because we’re local, you’ll always have highly qualified candidates as fast as humanly possible. To learn more, please visit vitamintalent.com.